The weekly “Player of the Week” honors seem to be following a trend throughout these first three weeks. The National League honors went to two different Colorado Rockies’ players (Trevor Story and Nolan Arenado) the past two weeks and now the Houston Astros have had three players win the American League honors for three consecutive weeks. This is the first time a team has ever had three players been named as “Player of the Week” in consecutive weeks to begin a season. This week’s honorees are a pitcher who scored his second career-no hitter and an outfielder who is proving that he is in the midst of a stellar career. LF Colby Rasmus, Houston Astros- Although his team is starting the season 6-13, Rasmus has had a solid start to the 2016 season and last week was his best as of yet. In six games, he hit four homers along with 10 RBIs and a 1.458 OPS. 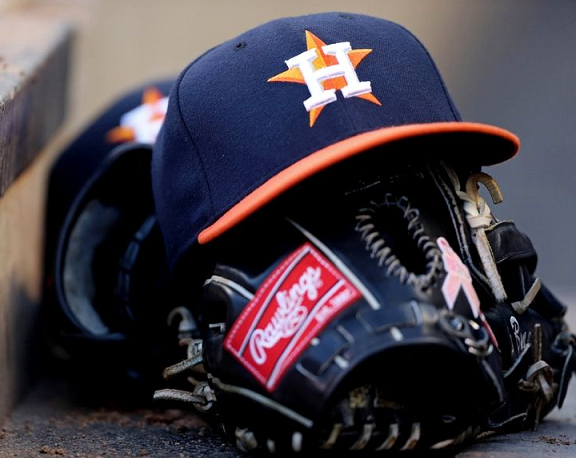 In a weekend series against the Boston Red Sox, the twenty-nine-year-old hit a Grand Slam on Saturday night that led to the Astros’ win and then a game tying two run homer that forced extra innings on Sunday night against Boston’s closer Craig Kimbrel. RHP Jake Arrieta, Chicago Cubs- Jake Arrieta is in a league of his own, so to speak. Last Thursday night, the thirty-year-old not only threw his second career no-hitter, but both of these came within just ten regular season starts, making him one of just a few pitchers who have accomplished this in such a small time frame. The right-hander struck out six and walked four as the Cubs went on to defeat the Reds 16-0. The reigning Cy Young Award Winner is currently 4-0 on the season with a 0.87 ERA.